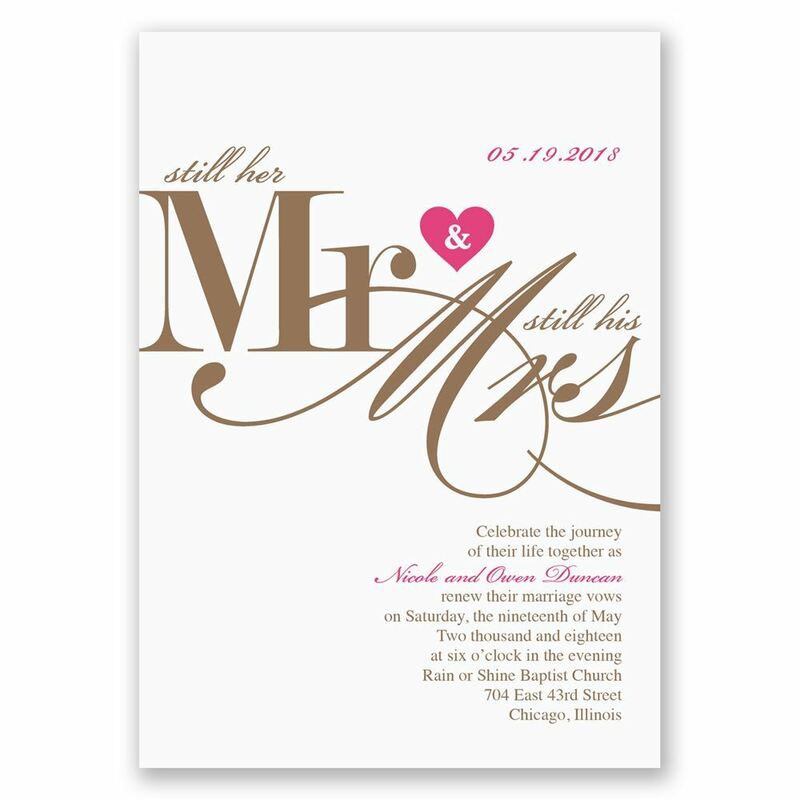 Showcase your sophisticated style with these vow renewal invitations featuring a contemporary illustration of "Still her Mr. & Still his Mrs." above your wording. A polka dot background appears on the back. Customize design and wording to fit your preferred colors and style. Envelopes are included with these vow renewal invitations. The invitations are just beautiful!! My 40th wedding anniversary invitations are beautiful.